Harrison Commons is the first building in a multi-phase revitalization of the once industrialized city of Harrison, which resides along the Passaic River. Located adjacent to an existing PATH station, Harrison Commons is a pioneer in providing a new town center mix of retail and residential living opportunities in a gateway commuter location. The building’s aesthetic provides a nod to the brick skeletons of its industrial past yet showcases contemporary architecture. The apartments address a modern lifestyle trend with open floor plans that provide a loft-like experience. The building achieved an Energy Star rating through the use of energy efficient appliances, light fixtures, low flow fixtures among other sustainable features. Reserved parking in adjacent 1500 car parking deck. 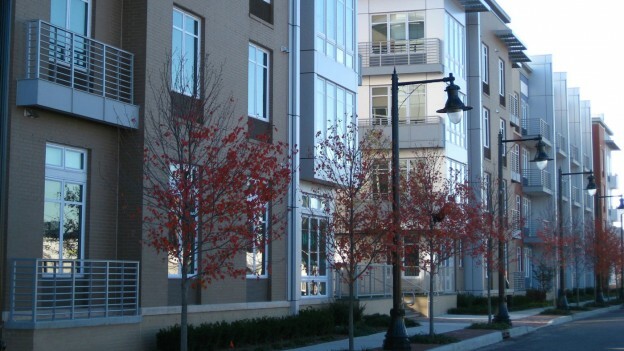 This entry was posted in Low Rise, Mixed Use, Multifamily/Residential, Transit Oriented on October 20, 2014 by swolock.